Oatmeal is one of my favourite foods for breakfast because it is an excellent source of fiber, omega-3 fatty acids, thiamine, iron, and beta-glucan (which may help regulate blood sugar). It also can reduce harmful cholesterol levels and even boost the immune system. I love homemade natural mask like tomatoes, honey and oats. But sometimes because of my busy life style, I don't have time to make my own homemade mask. Luckily, I got three different kinds of homemade natural mask from Mask Republic to try! Firstly, we must know that Oats can help normalise our skin's pH, which can relieve itchy and uncomfortable skin. It helps moisturising our skin and makes it looks healthy. These mask from Mask Republic is 100% from natural ingredients and without artificial, harmful ingredients. My skin is really sensitive and I'm a little bit picky now, remember when my skin was suffering because of wrong products last year? ╥﹏╥ Now the condition is getting better because I only use natural treatment for my skin. One secret you must know about most skin care products out there, they mostly contain dozens toxic chemical ingredients such as paraben, PEG, benzoyl peroxide, dioxin and many more! That's why we must become a little bit extra careful, especially for our precious skin. First mask I've tried is The Oat Cinnamon Mask. Cinnamon is widely known for its multiple health benefits. However, only few people know that it can be advantageous for your skin as well. A blend of oat and cinnamon is effective for treating acne because it contains anti-bacterial properties, also anti-oxidant and anti-inflammatory. 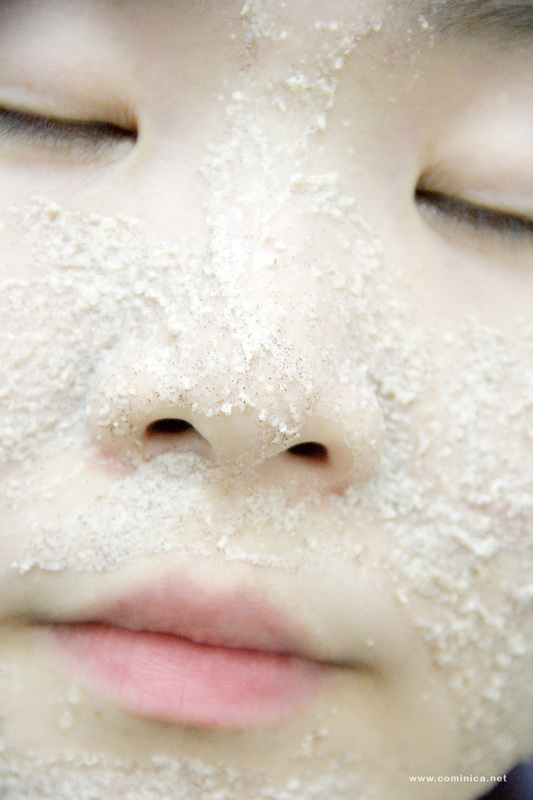 It also helps to reduce the appearance of our pores, so it looks less visible. I found this mask is also effective for treating blackheads and my skin itching problems. How did I do? When the mask is dried on my face, I slowly rub my nose with my wet fingers before I washed all the mask with warm water. I always use normal/cold water for this mixture because I think it's more effective for this mask, but for the washing I use WARM water because it makes my skin feel more moist after that! 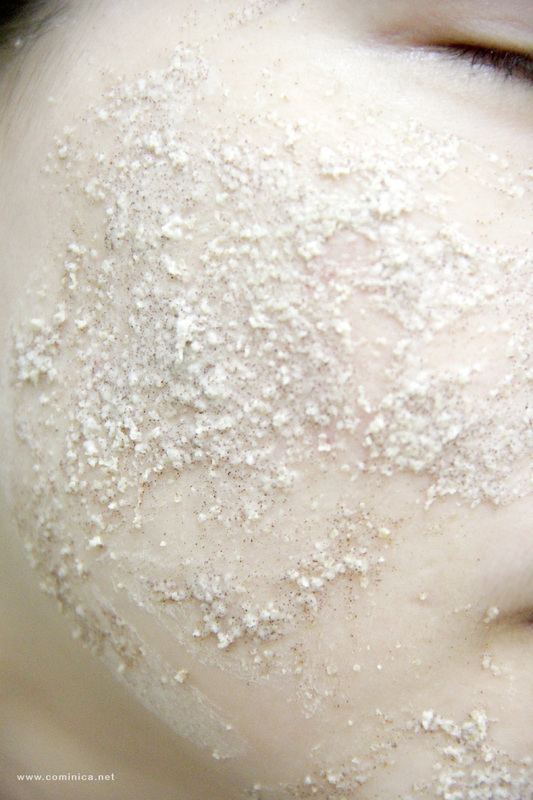 --> Oatmeal scrub whisks away dead cells, irritation, and redness, leaving a soft, moist glow behind! The second mask I've tried is The Oat and Rosemary Mask. Rosemary is a naturally powerful antioxidants that prevents ageing of skin. It also tightens sagging and loose skin to help it looks firmer and more elastic. Rosemary stimulates cell growth to reduce fine lines and wrinkles. And with the helps of Oats, it can improve our skin complexion and makes it looks glowing and fresh. Sometimes, my skin can looks dull because of my irregular sleep schedule and lack of water. My skin becomes rough and dry during that time, I tried this mask for few weeks and it helped to make my skin looks healthy. I didn't really notice the glowing result for my skin because my skin is fair, but what I notice was during that hectic weeks my skin still looks firm and fresh. I also mix it with the cinnamon one to helps reduce my blackheads and small pimples. If you suffer from dull skin and old-looking skin, you can try this mask for few weeks and see how it helps your skin. Don't forget to drink more water too~! Green Tea is a powerful antioxidants that helps to reduce inflammation and redness because of sun damage and free radical. It also helps to slow down skin ageing and fights acne. This Oat Green Tea Mask can rejuvenate our skin because it can clears up toxins in our skin, makes our skin look clean, clear, moist and soft. My face can becomes itchy and red because of direct sunlight, sometimes it looks pretty bad. I must wear sunblock even though my sensitive skin sometimes can be allergic to it. So I tried this mask to help reduce the allergic symptoms. I only tried this mask few times when I was going out often and my skin is exposed to the sunlight directly. I always use cold water for the mixture because it helps to calm the allergic symptoms like small bumps and prickly heat! You might not see the result instantly because this is a natural ingredients mask, not a miracle product you can expect but you may feel the difference in a long term use. How I use the Mask? I put some of it on my hand (about 1 tablespoon) then mix it with clean water with my finger. After that I put it on my face and wait for 5-10 minutes. When dry, I will wet my fingers and slowly rub some areas for few seconds then wash it with warm water. I always use warm water to wash the mask. I use normal/cold water for the oat&cinnamon, warm water for the oat&rosemary and cold water for the oat&green tea one. It doesn't has specific difference for the result, it just feels better like that depends on my skin condition. I have combination to dry skin type (and it's sensitive), in humid weather it can becomes quite oily, itchy and red. 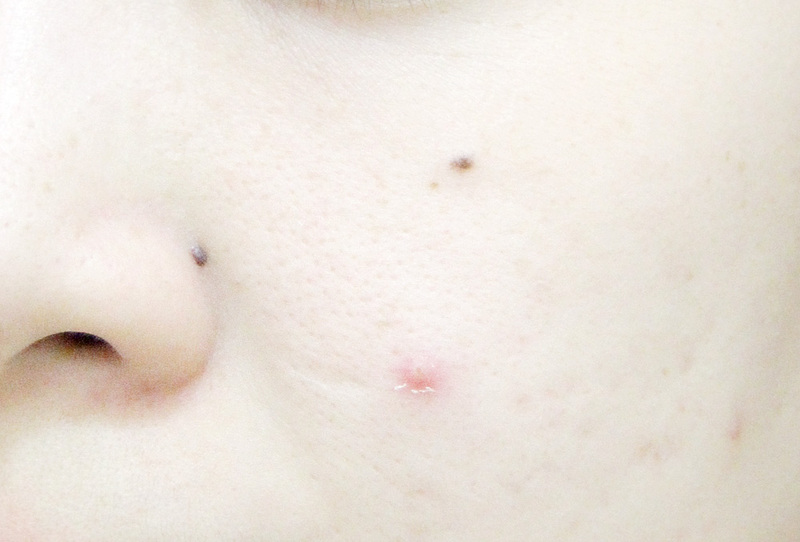 In rainy season it will looks dry but no pimples and redness. disclaimer : My skin condition after using this Oat mask for 1 month. This mask is best to use for 3 to 4 times in a week. And because this Mask is free of chemical ingredients, this mask only last for 6 months if it's unopened and 3 months after open.